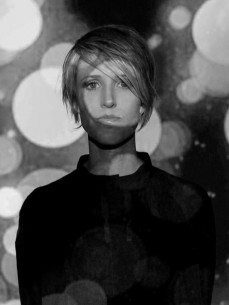 Getting her start stateside alongside Matthew Dear, Ryan Elliott, and the Spectral Sound crew, Kate Simko has quietly, yet consistently, established herself as one of dance music’s rising stars. A diverse musician, Kate's projects range from remixing Philip Glass, to composing film scores, to rocking jackin’ DJ sets, and producing her own melodic, Chicago-flavoured take on house and techno. Kate stepped in to the spotlight in 2011, releasing her first full-length album ‘Lights Out’ on Berlin's lauded Hello?Repeat label. To accompany the album release, Kate unveiled a custom audio-visual live set programmed by video guru Jeffrey Weeter. The cutting edge set – featuring original HD video scenes from around the world, modulating to the rhythms of the dance floor – was debuted at Rex Club in Paris, then performed at top spots around the globe. 2011 also saw some noted collaborations for Kate, including her ‘Sit Back’ EP with Anthony Collins on Supplement Facts and her PolyRhythmic project with Tevo Howard. Meanwhile Kate’s remix of Guy Gerber's ‘Hate/Love’ and Laura Jones’ ‘Love In Me’ held their place in the DJ charts for months. Back home in Chicago, the legendary Smart Bar added her as a resident where she joins the likes of Derrick Carter, DJ Heather, Miles Maeda, and Justin Long.